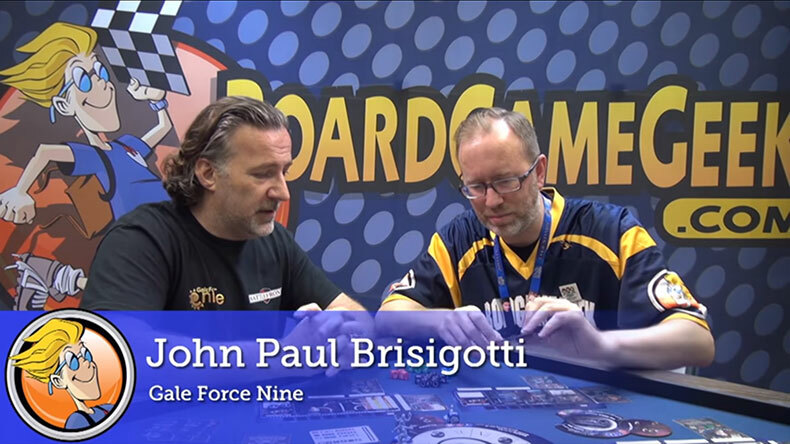 Jamie over at The Secret Cabal Gaming Podcast on YouTube talks about Gale Force Nine and our love for themed games. We are quite excited that there are content creators like Jamie who truly get what we are trying to do here at GF9. Thank you, Jamie, and Thank you to everyone who plays our games! Have a happy holiday and an awesome new year! 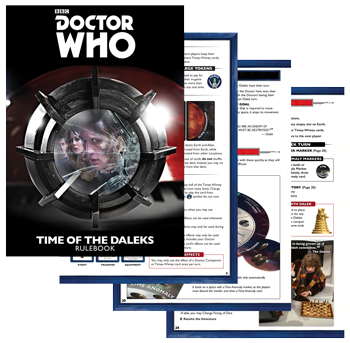 This week we are excited to share the Doctor Who Time of the Dalek rulebook with you. Inside you will find out how to have adventures and recruit companions while traveling through time and space! This week we take a closer look at Timey-Wimey Cards. Equipment: These are installed (played) on your TARDIS Console during your Prepare step. Once installed they can be used when indicated by their timing, and stay in play until they are Discarded. Events: These are played, their effects resolved, then immediately discarded. Transfer: These are played, their effects resolved, then the card is given to another player. The receiving player adds the card to their hand and can later use it and pass it on again. 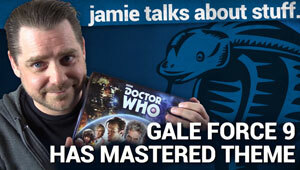 This week game designer Andrew Haught talks to us about the Daleks and how they works in the game. We also take a closer look at the Dalek and Davros Models. Exterminate! They muttered about their sacred hatred, the On-Coming Storm. Their Creator has as plan… A plan to erase the Doctor from Web of Time itself. That's right this week we are talking Daleks. This week game designer Andrew Haught talks to us about the Fourth Doctor and how he works in the game. 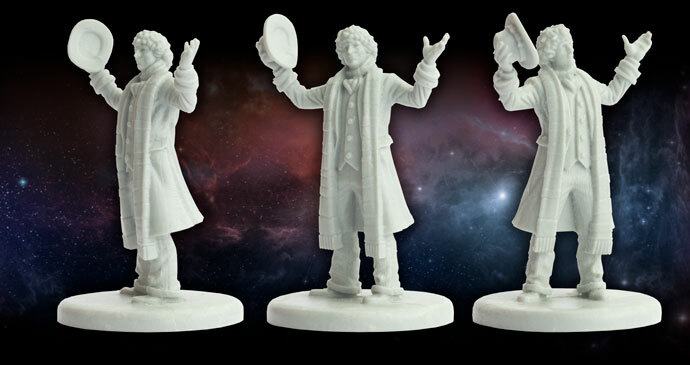 We also take a closer look at the Fourth Doctor's Model. This week we are taking a closer look at the Fourth Doctor. When talking about classic Doctor Who, it’s hard to not talk about Tom Baker, the Fourth Doctor. From his long scarf to his ever ready bag of Jelly Babies, the Fourth Doctor is one of the most iconic Doctors of all time. The Fourth Doctor has some amazing companions, starting off with Sarah Jane Smith, one of the most Iconic companions of all time. Sarah was fantastic, for me she will always be the companion to whom I compare other companions. Romina is another companion that I loved growing up, the fact that she was a Timelord, or should I say Timelady, was awesome, but I most like the fact that she was incredibly clever and in most cases more clever then the Doctor. In the game the Fourth Doctor himself has some great dice control, being able to always re-roll any one of the coloured dice makes him flexible in any of his Adventures. The Fourth Doctor starts off with Sarah Jane Smith. Sarah gives you a lot of good green dice options. 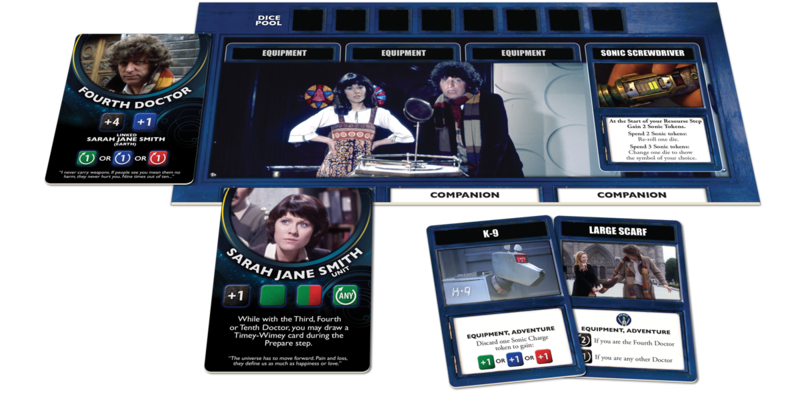 She also gains you an extra Timey-Wimey card at the start of each turn, though you only get to draw the card if you are with the Third or Fourth Doctors. One of the many Timey-Wimey cards in the game is K-9, and I have to say he is one of my favourites. As long as you have a Sonic Charge token to “power” K-9, he can add a die of any colour to your pool. This week game designer Andrew Haught talks to us about the Eleventh Doctor and how he works in the game. We also take a closer look at the Eleventh Doctor's Model.